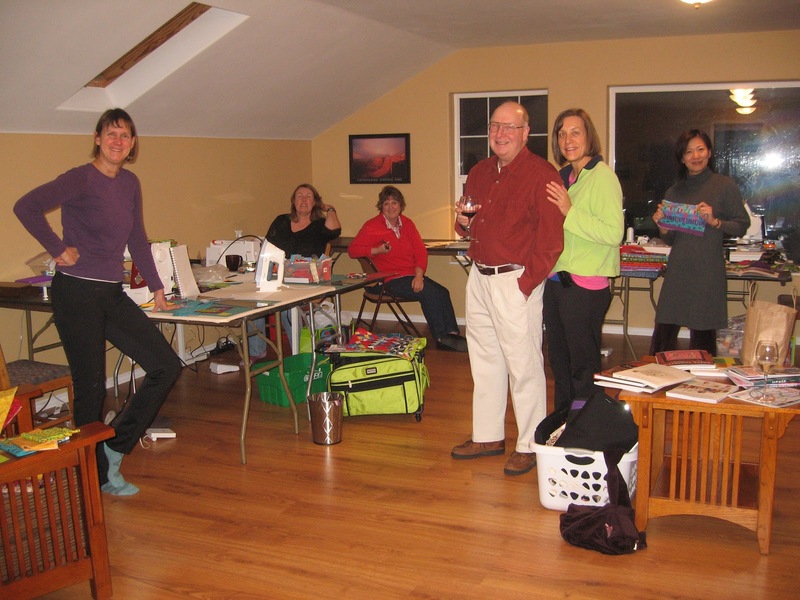 It all started when seven of us were together in July 2011 for the Sisters Outdoor Quilt Show. 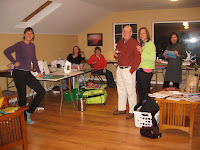 We had such a good time that we decided to meet again in November for a quilting retreat. 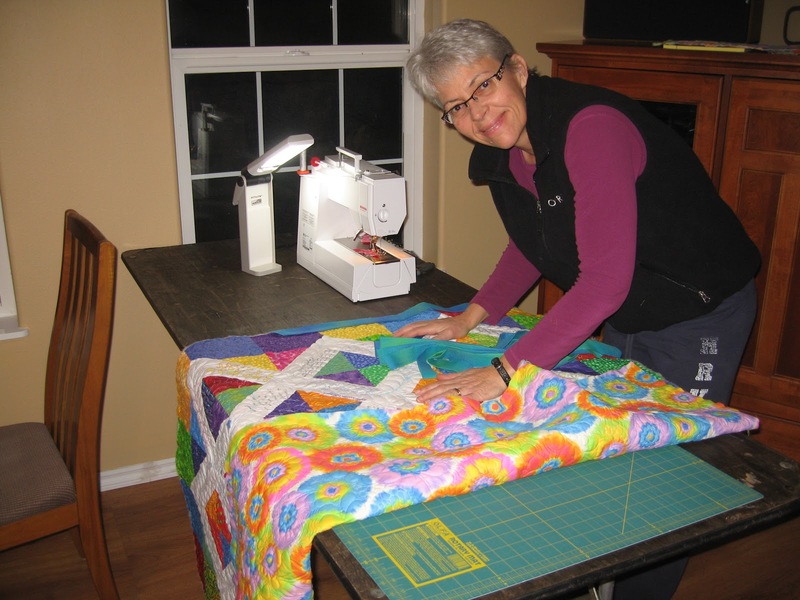 MJ kindly opened up her beautiful home (and her huge fabric stash) in Mosier, Oregon. 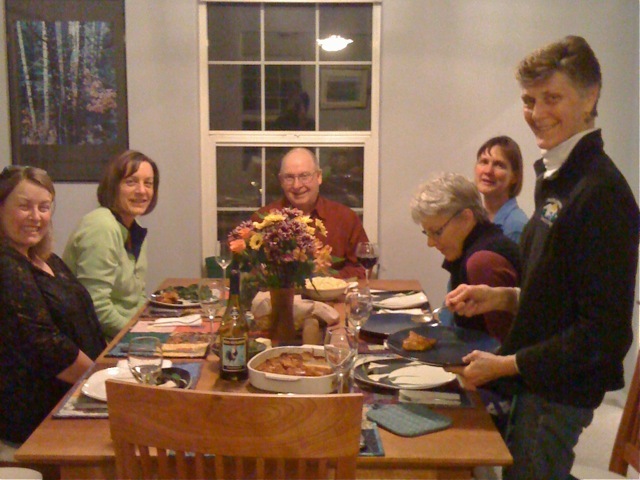 While no projects were completed we did share lots of ideas and technniques. By the end of the weekend we had agreed to do a Round Robin project, splitting into two groups of three each. 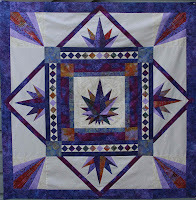 Our RR rules: The first person on each list makes a center block about 11" square, unfinished. That block, along with some of the fabric, is sent to the second person on the list who adds a border between 2" and 8" wide. The piece, along with fabric, is then sent to the third person who adds the next border with the same width restrictions. Finally the piece is returned to the first person on the list, again with some fabric. At this point, no restrictions as to how (or when:) the quilt is to be completed. made by Ann. Stay tuned for updates. With Janet's border. How will Ann finish it? Lots of paper piecing on on each round. 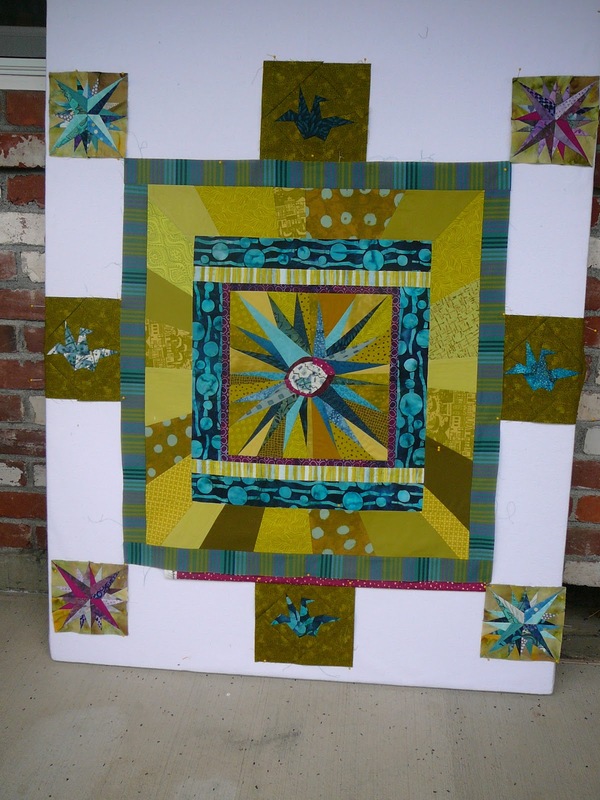 for a lap quilt. A good challenge. I really enjoyed the RR process. 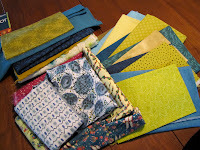 It was so fun to receive a package in the mail and take on the challenge of working with other's color and design choices - figuring out the next direction to go with the quilt. I can't speak for everyone, but I have yet to finish my quilt. Somehow life got in the way. 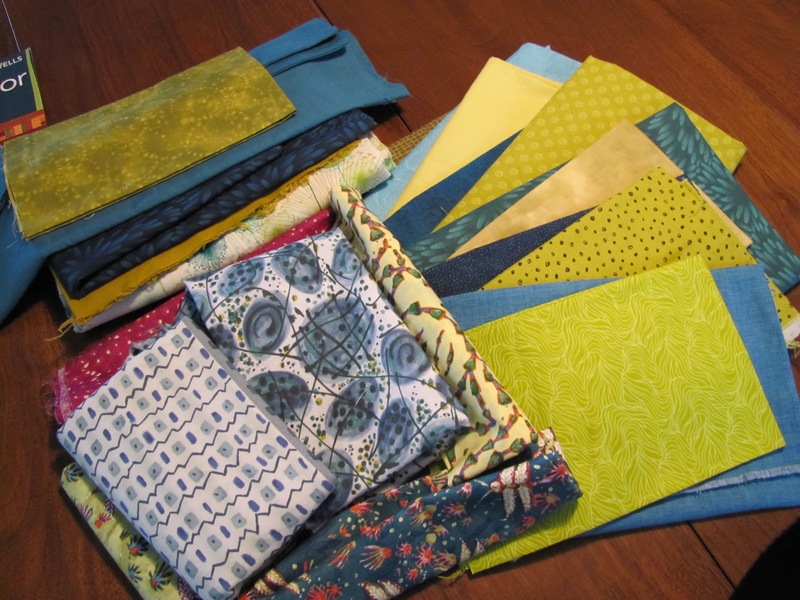 But finishing my RR quilt will be perfect therapy during January & February (aka the "mole period" in Oregon). 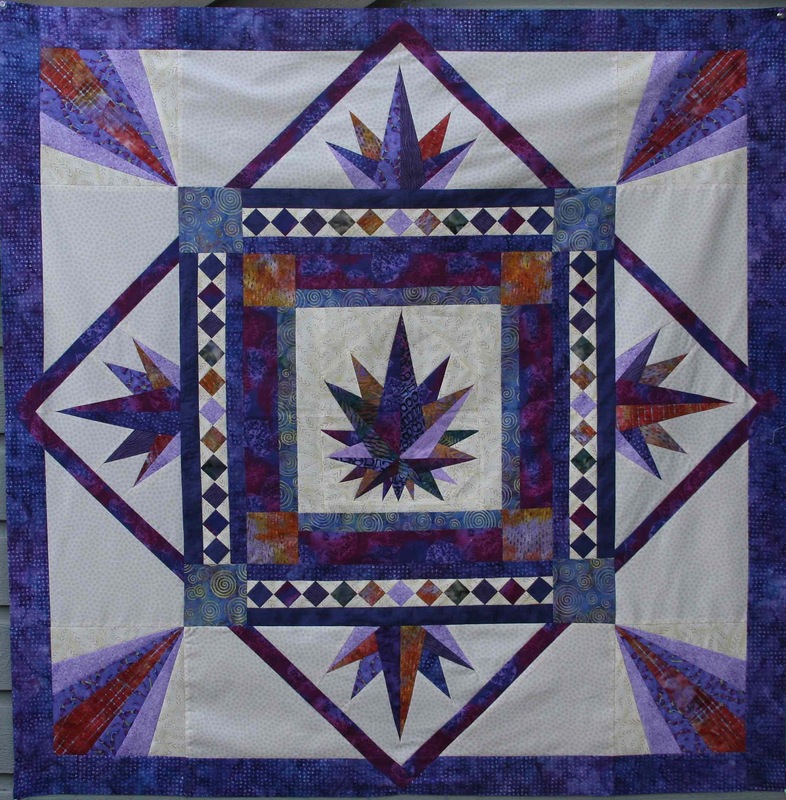 One day I hope we can reconvene and share our work and stories on all six quilts.